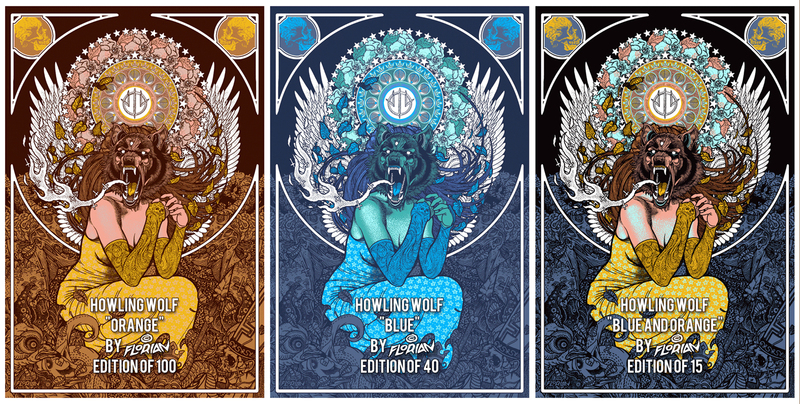 The Art of Florian Bertmer: Howling Wolf 6 year anniversary print! 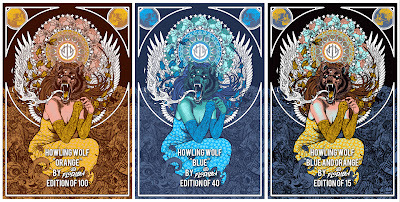 Howling Wolf 6 year anniversary print! Shirts and Destroy will release new colorways of my “Howling Wolf” art print. This version will be slightly different than the previous two versions. orange (edition of 100, $45), blue (edition of 40, $65), blue/orange (edition of15,$100). The prints will go up Tuesday, June 4th at a random time!